Can the language you speak influence the way you save? Professor Keith Chen, behavioural economist at UCLA, has been looking at how speakers of different languages also save differently. Claire Labrum of Strictly Financial gives an overview of his thoughts and a link to his TED talk here. Can the way you talk affect the way you save? According to Keith Chen, behavioural economist at UCLA, it just might. His thesis is that the fundamental structure of the language we speak affects our financial behaviour, and that differences between languages are reflected in different financial behaviours among the people who speak them. It’s an interesting view, and he backs it up with numbers and specifics. We’ve summarised what he has to say below, and included a link to his TED Talk on the subject. 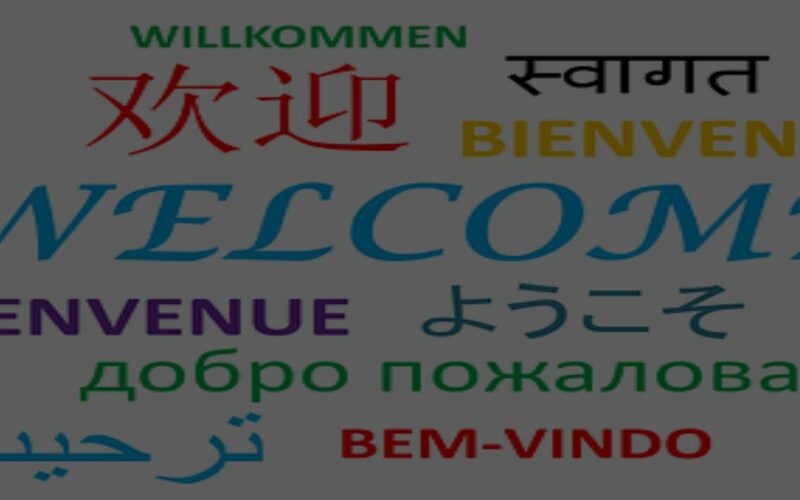 There are around 7000 languages in the world, each with different sounds, vocabularies and grammatical structures. Linguistics experts claim that the language we speak affects how we think about things. For example, many languages assign grammatical gender to objects, and this in itself can affect how we think about that object. Consider the word ‘bridge’. In Spanish this is grammatically masculine, and a Spanish speaker is likely to describe a bridge as ‘strong’ or ‘long’. The same object is grammatically feminine in German, and is more likely to be described as ‘beautiful’ or ‘elegant’. These differences are fundamental to our culture and how we think and feel about things, and how we remember them. Take the example of an accident: an English speaker will say ‘he broke his arm, he broke the window, he crashed the car’. In other languages which do not apportion agency (or ‘blame’) in the same way the incident is described grammatically as ‘it broke or ‘it crashed’. This affects how we recall events – the English speaker is more likely to remember that ‘he’ did it (implying ‘fault’), whereas speakers of the other languages are more likely to recall that it was an accident. The structure of the language also affects how, and how much, information is conveyed. In English it is relatively easy and quick to introduce someone to your uncle. However, saying the same thing in Mandarin Chinese is very different. The language forces you to include much more information – whether the uncle is an uncle by marriage or birth, mother or father’s side and if father’s, whether he is older or younger. This is obligatory – and so the speaker is forced to think about these things. Is there a link between the structure of the language we speak and our propensity to save? Clearly language shapes the way we think about the world around us and forces people to speak and think about issues in different ways. And this extends to shaping how we behave when it comes to our financial behaviour. We can see differences in financial attitudes between countries. Looking at the list of OECD countries – the richest and most industrialised countries in the world – there are huge differences in savings behaviour. Over the past 20 years, many OECD countries have seen private savings account for a quarter to a third of GDP. Luxemburg leads the way with over 40%. The USA and UK both lag well behind, saving just over 15%, with Greece trailing at 10%. But to what extent are these differences in propensity to save influenced by the language we speak? How and why does language affect this? Professor Keith Chen, a behavioural economist at UCLA, has conducted work that suggests that the language you speak affects your attitude towards the future. He is about to publish a paper outlining his hypothesis and the evidence behind it, and recently reviewed these findings in a TED Talk. First he looks at the grammatical underpinning of how people talk about time. Some languages refer to the future using specific forms of verbs like ‘will’ and ‘shall’, whereas others have no specific form of their verbs for future actions. For example, English requires you to give a lot of information in the verb about when an event happened – it rained yesterday, it is raining now, it will rain tomorrow. It is not grammatically correct to say ‘it rained tomorrow’. To describe the event, the speaker is forced to think about, and alter, how they convey the concept of time. English has a distinct grammatical marker that creates a conceptual partition between present and future time. However, a Chinese speaker would say ‘yesterday it rain, now it rain, tomorrow it rain’ – Chinese does not divide up the time spectrum in the same way, and so the difference between future and present is less defined. Of course in English as in many other European languages, you can sometimes use the present tense to express the future – as in “I’m going home tomorrow,” but this usage is less widespread and deeply entrenched in English than in some other languages. Professor Chen says that whilst English is a Germanic language, it is the only one that requires the division of time in this way, and that most Germanic languages follow the Chinese model. This is a bit of an oversimplification, because other Germanic languages, including German itself, do have a future tense for their verbs, and do frequently use this tense. But he does have a point in that many Germanic languages use the present tense to express future concepts more often and more widely than English does, and have a much less rigid use of the future tense. So could how you speak and think about time affect your behaviour across time? Professor Chen takes his thinking a step further, and asks whether, and to what extent, language is fundamental to how we behave. Borrowing terminology first coined in 2000 by Swedish linguist Professor Östen Dahl, he describes English as a ‘futured’ language. Every time we talk about time we are forced to think about the future differently from the present because we have to separate it grammatically. In effect we disassociate the future from the present because of the structure of our language. Conversely in ‘futureless’ languages, the future is spoken about identically to the present, and so is more closely associated with it. Does this mean that mentally the future is ‘closer’ to the present to speakers of futureless languages, but more distant for speakers of futured languages? Chen suggests that speaking about the present and future in the same way encourages you to feel about them in the same way (they are in the same mental ‘space’), which could make it easier to save. Generally speakers of ‘futureless’ languages across the world tend to be the world’s best savers. His analysis shows that among the OECD countries, the average difference in savings is 5% between speakers of futured languages vs. futureless languages – and the impact of this difference over time is huge. Clearly there are a lot of other differences which could also be contributing to these differences in behaviour. But Professor Chen’s hypothesis also holds true when savings behaviour is compared between nearly identical households whose key difference was language (he used Big Data to conduct these comparisons). His research has found that there is a significant correlation between behaviour and language spoken. For example, futureless language speakers are 30% more likely to save in any year, and they retire with 25% more in savings on average than speakers of futured languages. As you would expect, this also affects other aspects of life, such as health. Futureless language speakers are 20-24% less likely to smoke and 13-17% less likely to be obese – again possibly because the present and future are more closely aligned. Smoking (or overeating) is a current pleasure traded against future pain, savings is a current pain traded for future pleasure. In languages where the concepts of present and future are more closely aligned, the mental trade off between the two takes place on a more even playing field: now vs now. Professor Chen is currently focusing on understanding how these subtle differences affect decision making and the subconscious triggers that drive future-proof behaviour – so that people can consciously make better decisions about their future. This is all pretty interesting stuff, especially in the context of the UK’s retirement savings gap. And it begs the question, could this understanding be combined with nudge theory to help reduce this gap?